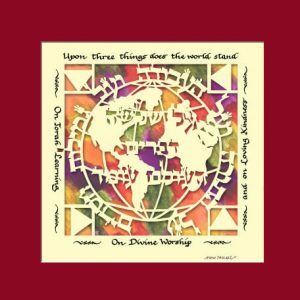 Categories: Gifts for Community Leaders, Gifts for the Jewish Home, Great Gifts for the Holidays!. 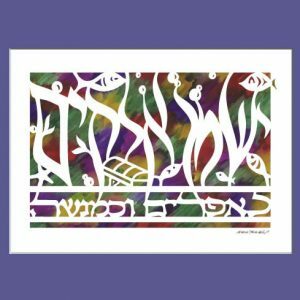 Tags: Jewish Art, Jewish gift, Judaica, Judaica artwork, Papercut, Song of Thanks. 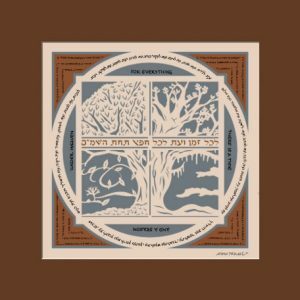 The Song of Thanks papercut makes a wonderful token of appreciation or thank you gift for just about anyone. The text is taken from the Book of Psalms. It tells us to enter His gateways with thanksgiving and to worship Him with joy and gladness because G-d is good. 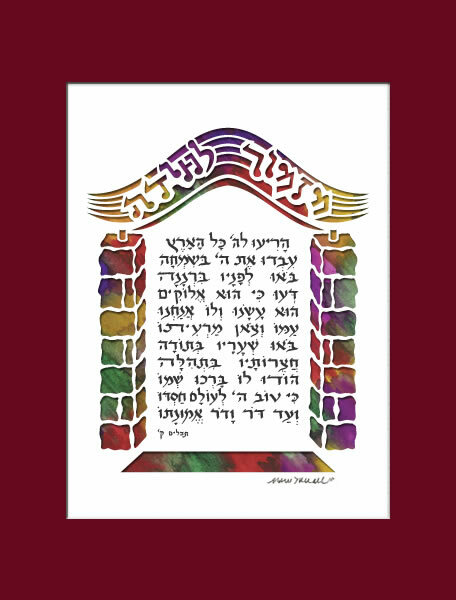 This Judaica Artwork, which Marci Wiesel fashioned, makes a valuable Jewish gift to enhance every home. A Psalm of thanksgiving, call out to the Lord, all of the earth. 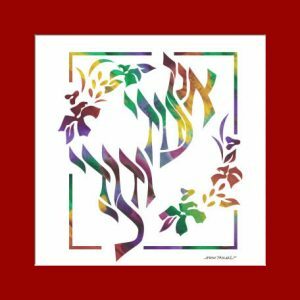 Serve G-d with gladness, come before Him with joyous song. Know that G-d, He is G-d; He made us and we are His, His people and the sheep of His pasture. Enter His gates with thanksgiving, His courts with praise; give thanks to Him, bless His Name. For G-d is good, His kindness endures forever, and from generation to generation is His faithfulness.